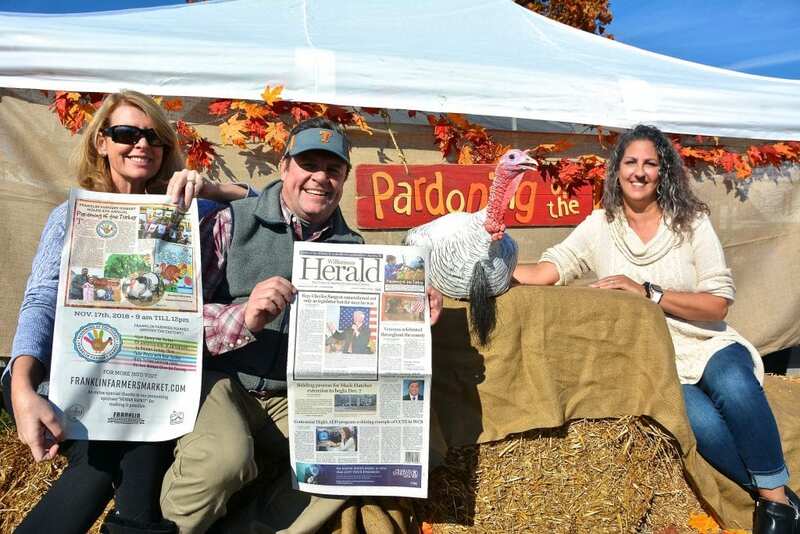 The Franklin Farmers Market 4th annual Pardoning of the Turkey was held on Saturday, November 17th sponsored by Herban Market. 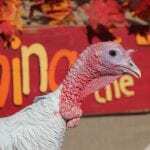 The star of the show, Danny the Turkey of Earth’s Advocates Research Farm, was not at all nervous about whether or not he would be pardoned. Instead, he sat royally on his bale of hay as children and adults took the opportunity to pet and hug him. Danny is a pro at being the center of attention and children gathered around him for a chance to pet their first turkey. Visit this link to see our Photo Gallery of the event. 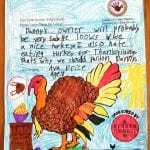 Second Graders from Liberty Elementary School wrote over 90 letters to the TN Department of Agriculture’s Assistant Commissioner Ed Harlan on Danny’s behalf and delivered them to the Commissioner asking him to pardon Danny for Thanksgiving. Assistant Commissioner Harlan delighted the crowd with turkey facts and stories. Being a farmer himself, Harlan gave insight into the farmers who provide us with delicious Thanksgiving foods. The fun day was complete with many “selfies” taken with Danny the turkey. 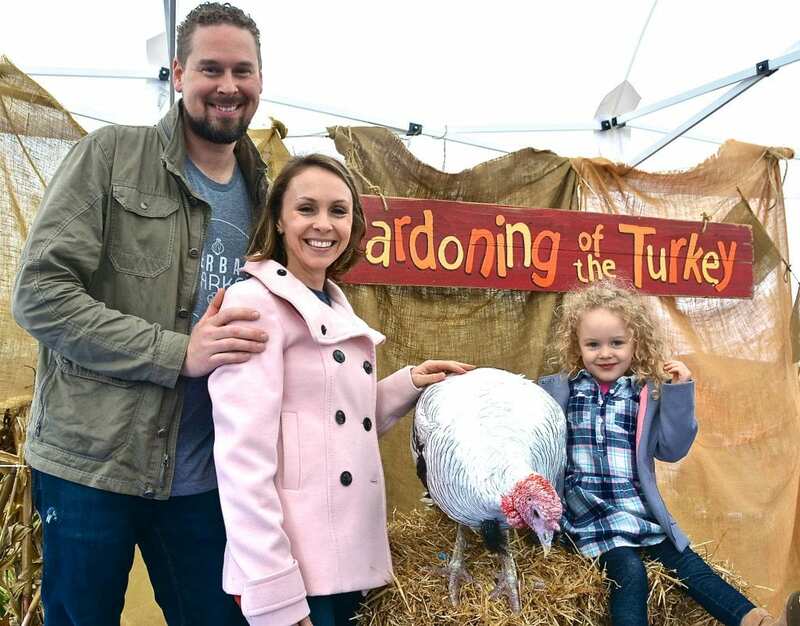 It’s not everyday that one can say they took a picture with a Royal Palm Heritage breed turkey, but the customers of the Franklin Farmers Market can check off that one on their bucket list! 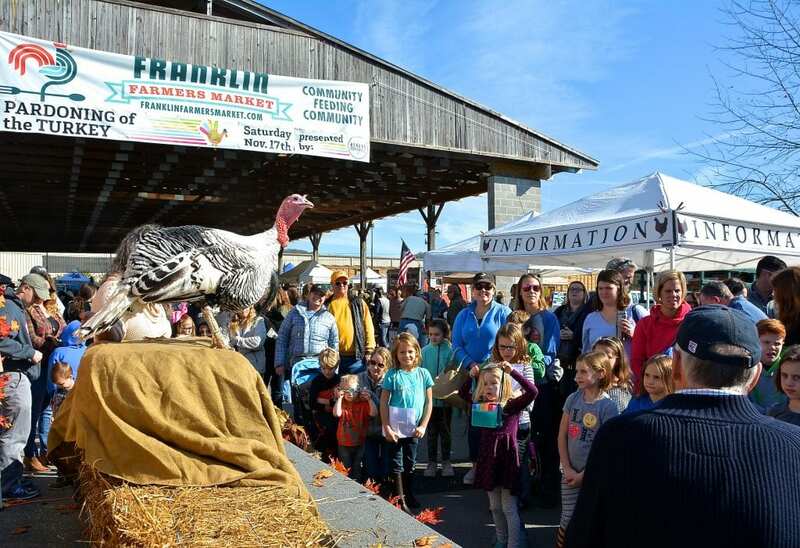 The Franklin Farmers Market is open 52 weeks a year. Gone are the days of markets closing down in the winter months due to no produce. The farmers at the Franklin Farmers Market grow year-round thanks to crop row covers, hoop houses and green houses. The meat producers provide beef, pork, chicken, lamb, turkey and vegetable producers have leafy greens, winter squashes, broccoli, cauliflower, sweet potatoes, lettuces and more. It’s not hard to eat seasonally and locally right here in our hometown! This Thanksgiving we are grateful for the farmers who provide us with healthy, locally grown food to nourish our bodies and we are thankful to live in such a wonderful community of Franklin, TN. 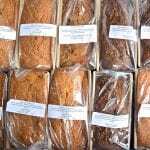 The Franklin Farmers Market is open year round with winter hours of 9am-12pm November-March and 8am-1pm April-October The market is located at 230 Franklin Road behind the Factory. 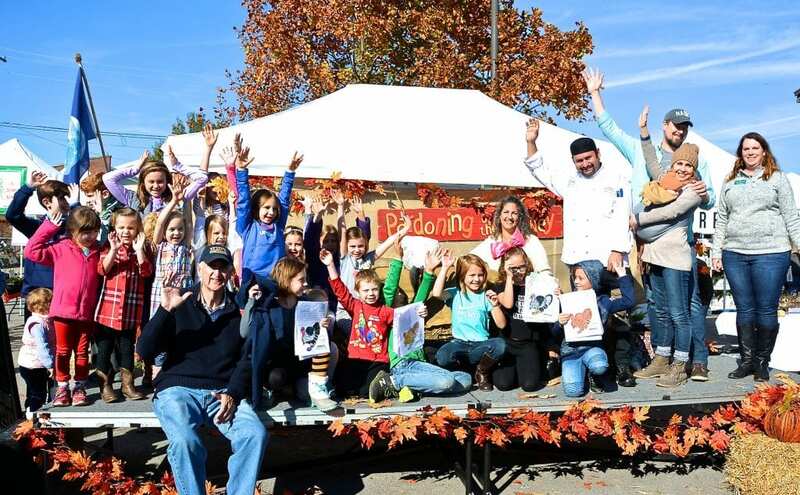 We are grateful for Derby and Cassie Jones, owners of the Williamson Herald and Southern Exposure Magazine for their excellent coverage of our Community Farmers Market! This entry was posted in Market Saturday News on November 18, 2018 . 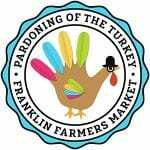 The Franklin Farmers Market 4th annual Pardoning of the Turkey is Saturday, November 17th at 10am sponsored by Herban Market. 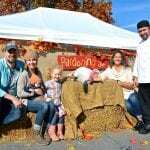 This fun, family oriented event is centered on our market turkey, Danny, of Earth’s Advocates Research Farm. 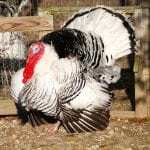 Children will be delighted to meet and pet the Royal Palm Heritage breed turkey that will be pardoned by the TN Assistant Commissioner of Agriculture, Ed Harlan. Children are invited to download this coloring sheet and write a letter to the Commissioner of Agriculture asking him to grant amnesty to Danny for Thanksgiving. Deliver your letter by 9:45am to the market information tent for a chance to win a farmers market prize! There will also be a coloring tent set up for children visiting the market who want to color and write a letter on Danny’s behalf. The November farmers market is full of beautiful produce you may not know is still in season, just in time for Thanksgiving! 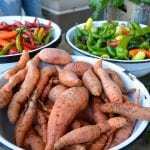 November 17th is the perfect time to buy your sweet potatoes, broccoli, cauliflower, leafy greens, radishes, turnips, pumpkins, winter squashes and more! Some farmers will still have cherry tomatoes available to go with the lettuce! 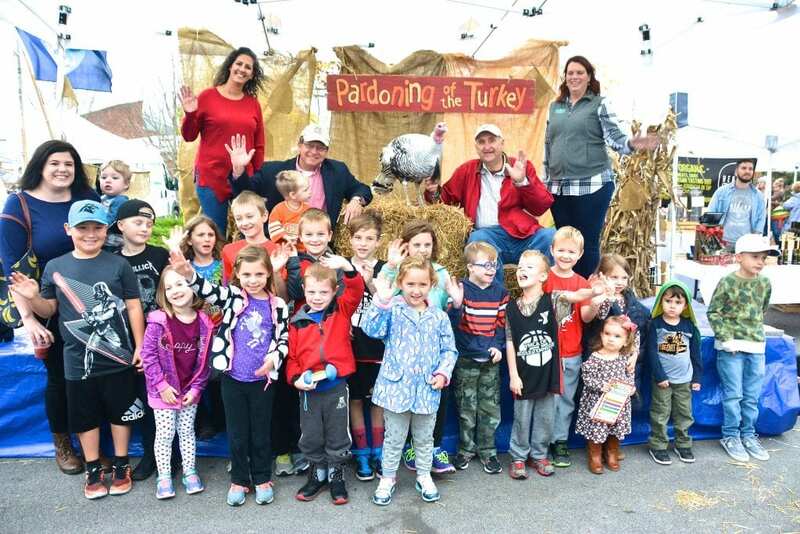 Bring your children to the market as we give thanks to the farmers and teach them where our food is grown and enjoy our wonderful celebration of Pardoning of the Turkey! 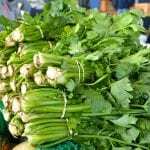 The Franklin Farmers Market is open year round with winter hours of 9am-12pm. The market is located at 230 Franklin Road behind the Factory. This entry was posted in Market Saturday News on November 14, 2018 .